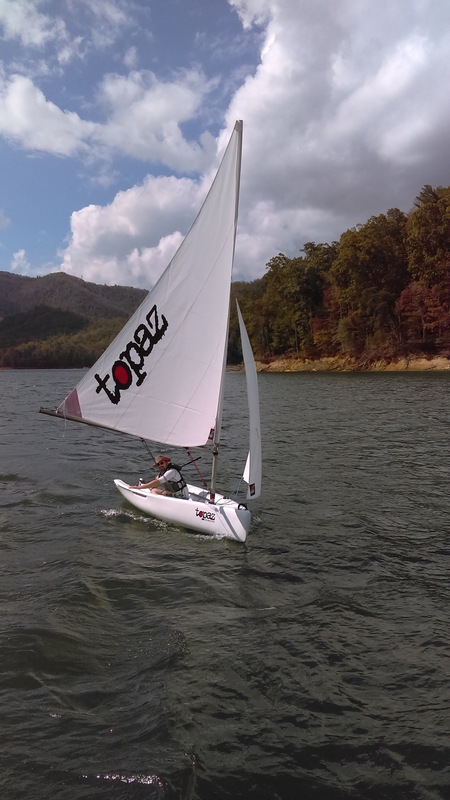 I had a crazy fun time sailing with the Topaz Uno Plus at Watauga Lake in East Tennessee in 15-20 mph winds on this beautiful fall Sunday. 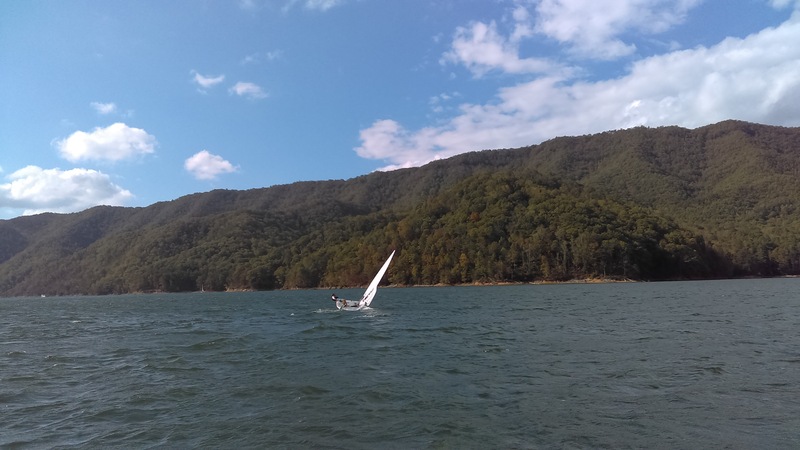 Watauga Lake offers one of the most scenic locations for sailing. 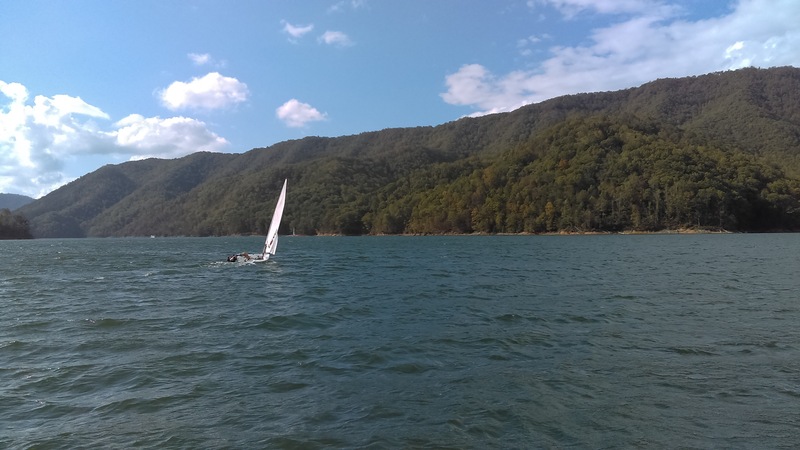 The lake was busy with sailboats and poweboats all enjoying the beautiful sunny day. 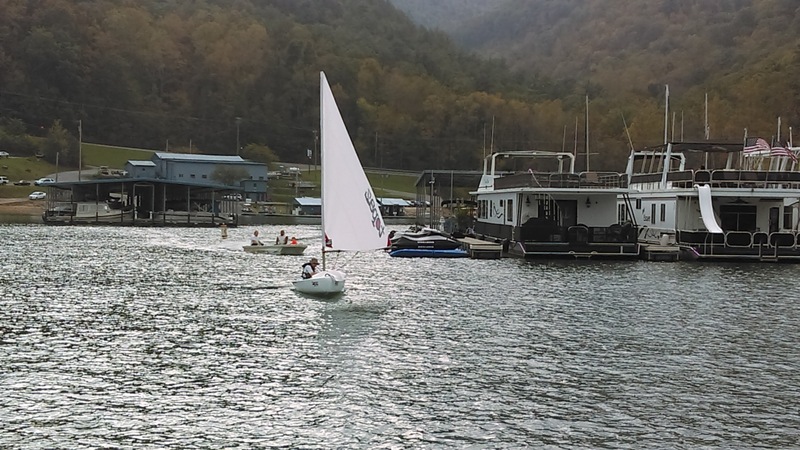 Wind picked up in the afternoon and even more sailboats came out. 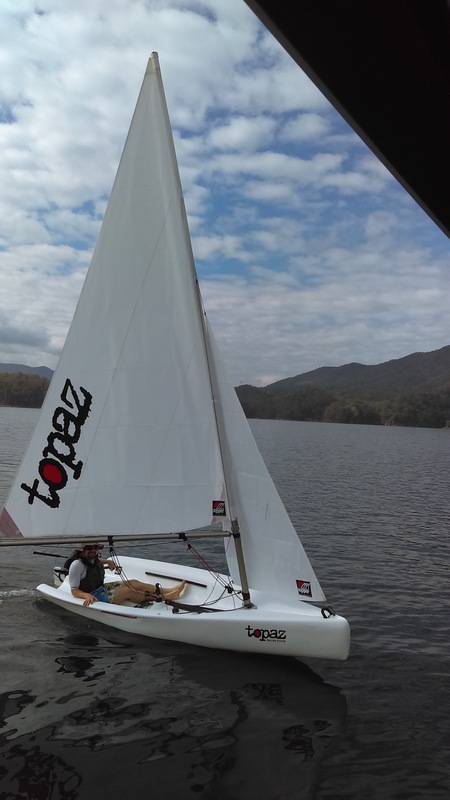 I set sail early in the morning in the Topaz Uno, aside a friend who set out a pantoon boat. 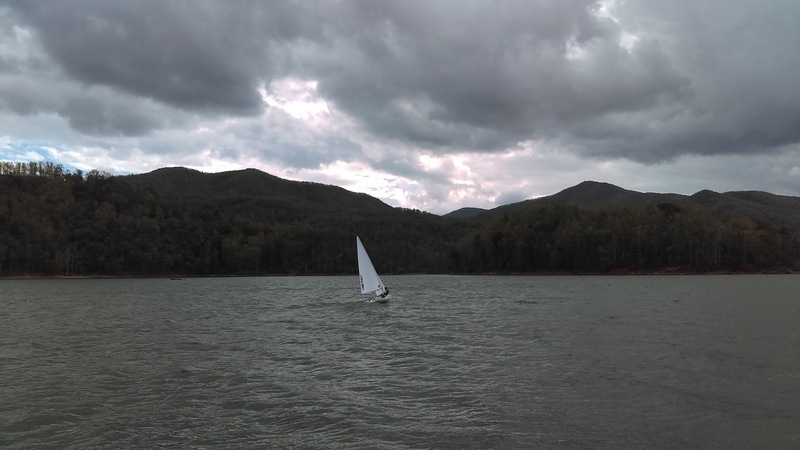 We sailed across the lake in light winds. We anchored the pantoon boat in a shallow cove, and had ourselves a little picnic while waiting on the wind to pick up. 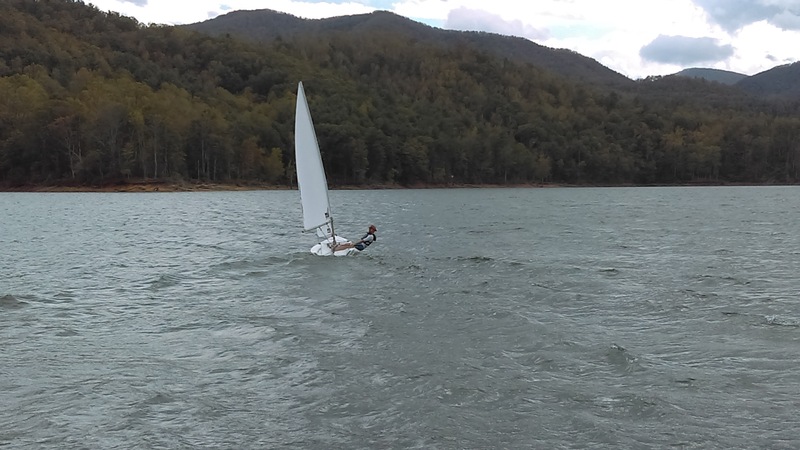 With winds picking up to a 15 mph constant breeze around 1pm, we both got on the sailboat. 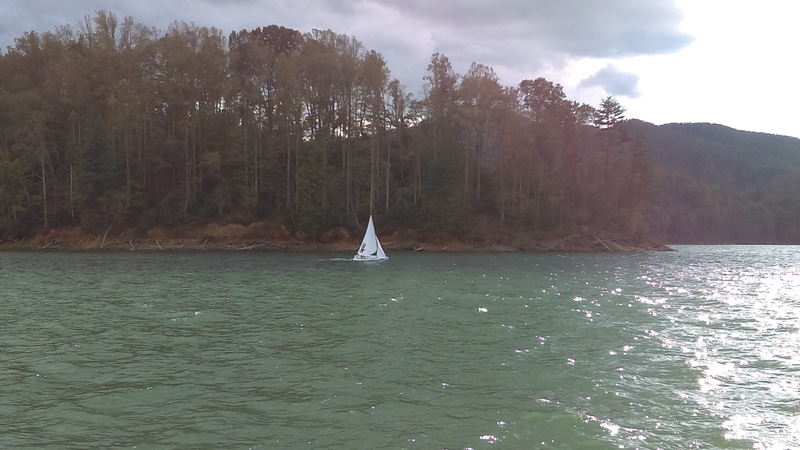 Our thrill on the sailboat was relatively short lived ss we noticed the pantoon start to move from its original anchored point. The winds had picked up even more, and we rushed back to the pantoon in record time. 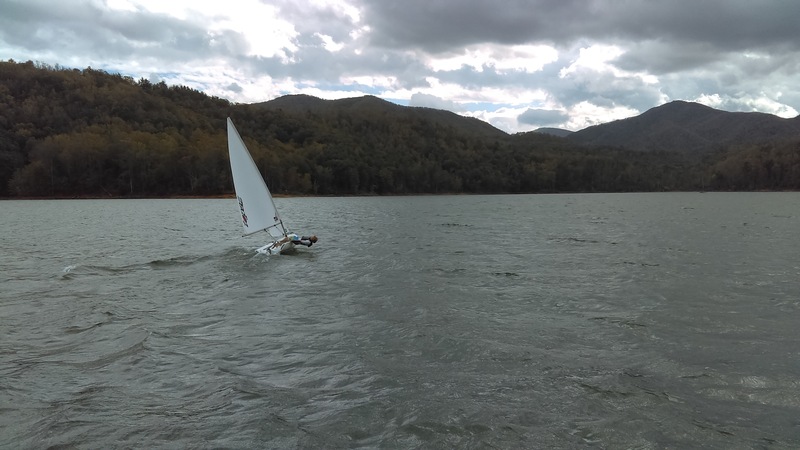 After resting a while, we decided to race to the far end of the lake. With the wind blowing out of the west, we sailed downwind arlind the island, all the way to the bridge. 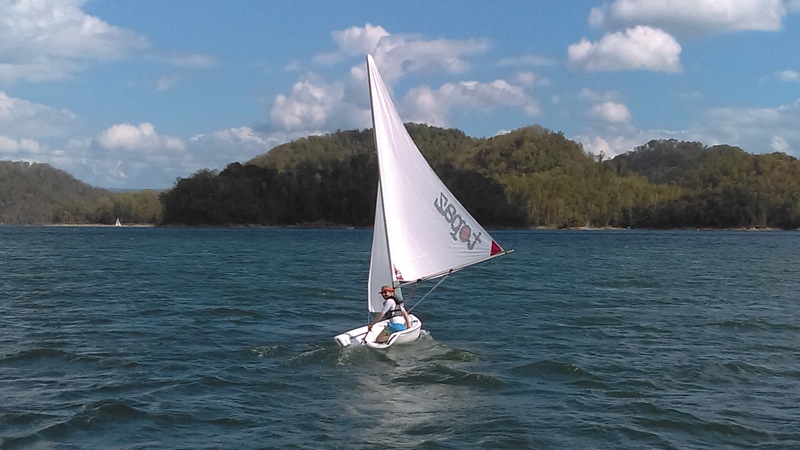 Going back upwind meant tacking multiple times in 20 mph wibds. As my friend was on the pantoon, and I had to balance the boat with 155lbs. This proved to be quite a challenge. It was also extremely fun.